← Too Far or Not Far Enough? We imagine someone loudly trying to bring attention to a cause, in an attempt to address a social problem or injustice. 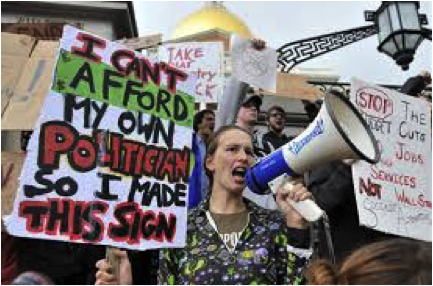 A typical activist, one would assume, is part of a larger movement, or group which is challenging some authoritative voice, structure, or culture. Yet, I am not convinced this is the way most activists try to change society today. I am even less convinced that this is the way that some of the digitally savvy younger generations (such as my students) will try to change the world and bring attention to causes they care deeply about. Does “armchair activism,” or retweeting information about discrimination in the American justice system against non-white people constitute activism? What about “liking” a post about gay rights on Facebook? Or, for professionals, is teaching our students, colleagues, or clients about research on race, class, and gender, or on environmental pollution, “activism”? While one could argue no—on an individual basis, these actions are not activism. They could be interpreted as people simply sharing information they find interesting or pertinent to their jobs. 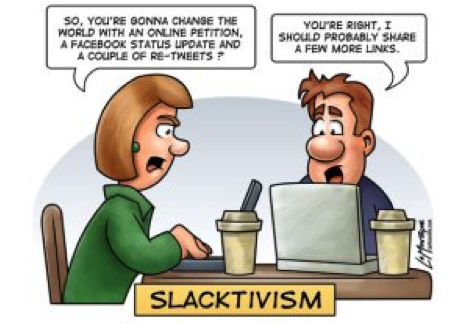 Such actions also could be taken as a lazy form of slacktivism, as displayed in the cartoon below. People who might otherwise be activists instead assuage their guilt by supporting cause via social media or raising awareness at work. Yet, armchair activism might have some important affordances. It could be an efficient way to inform and mobilize people across geographical space rapidly and make one’s voice visible to many people quickly (Boyd 2014). It might also be a means of engaging people who previously might not have participated in protest movements. Mobilizing these peoples’ support might have consequential outcomes. What if, because of the maps showing how Ferguson tweets went viral after St. Louis’s Prosecuting Attorney Robert McCulloch announced the Grand Jury’s decision not to indict Police Office Darren Wilson, American politicians became more likely to take criminal justice reform seriously? The effects and outcomes of digital activism are important and need to be studied more. In certain conditions, like in the Middle East during the Arab Spring, they can indeed make a tremendous difference. Because it is within the establishment, we could also claim that teaching a course on the social construction of race and racial discrimination is not activism. Yet, if we look at comparison cases and broader conditions, it becomes less clear. Would running a workshop on racial discrimination through neighborhood organizations to inform people of their rights be called activism? Is a university course on race and inequality activist when racial inequality pervades higher education and broader society? What about if the course instructor is a public supporter of the Black Lives Matter movement—then is teaching a course on unequal race relations activist? One of the challenges in studying new forms of activism is unpacking how actors are situated in multi-level, multi-faceted, and multi-institutional contexts. We can only really identify an “activist” when we know both an actor’s motivations and the overall picture. These distinctions can often be challenging to make in the boundaries between movements and institutions. The cultural turn in movement scholarship, and the building of bridges between research on movements and institutions opens us to these questions of what the boundaries of activism are. There are benefits and costs to opening up how we conceive of activism. I am a proponent of broadening the cases we include under the purview of “movements” to include the many ways collectivities advance causes they care about. My research on a meditation movement, for example, examines how meditators strategically brought meditation programs into their workplaces as a means of trying to generate social change from “the inside out.” These meditators believe that their embodied meditation practices transform the hearts and minds of people, and that by diffusing meditation practice widely, they will activate a powerful means of broader cultural change. The benefits of looking at how outside movements, such as the meditation movement, which target institutional change by bringing programs into institutions and working with insiders, is that we as scholars, can better understand the many ways through which groups strive for social change. By focusing only on more typical kinds of movements, or more typical kinds of institutional change (e.g. focusing on a single company or field in the management literature), the many nuanced kinds of change initiatives in the middle remain invisible. However, there are clear limitations and challenges to calling change initiatives in the boundaries between movements and institutions “activism.” First and foremost of course is the threat of co-optation by institutional incumbents’ interests. 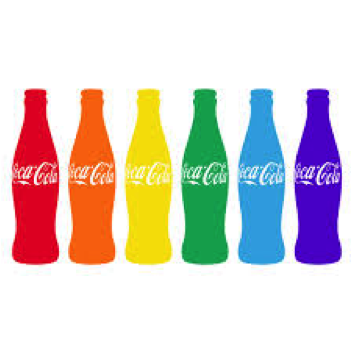 For example, Coca Cola is a major public supporter of gay rights. Is Coca Cola’s post-Supreme Court decision advertising embracing gay rights “activism”? Should we interpret this ad campaign as the mainstreaming of gay rights? Is it the co-optation of gay rights by a corporation to sell soda? Or is it public support for gay rights by a company which brings attention to, and supports a movement to bring attention to the many remaining structural and cultural forms of inequality and discrimination against homosexuality? Or is the story more complex? Is it a combination of all of the above at the same time? And what does acknowledging this complexity mean for scholarship on “activism”? One of the challenges we face in looking at the many new kinds of activism on the boundaries between movements and institutional change is examining the multiple layers of motivations and actions driving activism. We need to better examine how individual and collective action can be simultaneously activist and self-serving as change agents move their causes and cultures into mainstream society. We also have to examine across more cases what happens when organizations adopt “activist” causes. For example, Ellen Berrey’s (2011, 2014) work warns us of the complexity of reforming institutions like higher education to be more racially inclusive. Her study of inclusion initiatives at the University of Michigan shows how such initiatives can have unintended consequences which undermine activists’ intentions to promote equal experiences for students of color. More research needs to follow her lead in examining the many facets of how institutions can selectively adopt activist causes. For example, organizations can publicly support movements’ rhetoric, establish programs to address social problems, and/or offer reform programs to select or wide-ranging audiences (which are more or less self-serving). What is most important is that we examine the extent to which organizations adopting “activist” causes actually implement reforms in their organizations and environments, rather than just nominally supporting change initiatives. Tim Bartley et al.’s (2015) book, Looking Behind the Label, shows how when many electronic companies allegedly take on human rights issues by instituting audits, they do not actually implement structural changes to improve the human rights abuses they find (see book review). Yet, electronics companies gain the ability to tell their consumers they are addressing human rights abuses in their supply chain. This corporate human rights “washing” can be used in lieu of actual reform. These cases reveal the need to further investigate authenticity, accountability, and potential contradictions across culture and structure in various new kinds of “activism.” We need to examine how these factors play out when trying to identify who activists are and in investigating collaborations between activists and organizations in complex multi-level and multi-institutional contexts. In particular, these factors will be important to parse out as we examine new, and sometimes more subtle, forms of activism for women’s rights (Katzenstein 1999), for diverse identity sensitivity (e.g. Bernstein 1997; Raeborn 2004), and for environmental issues within powerful organizations (Lounsbury et al. 2003).